THREE heritage-listed buildings at Willow Court have been offered for sale by tender by a Hobart-based real estate firm. 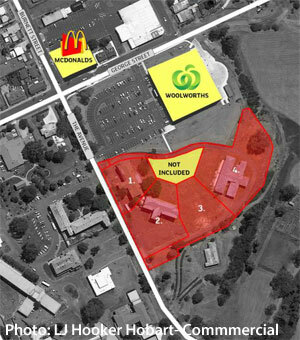 Described as a "major residential/multi-unit development site" of about 15,000 square metres in four strata titles, the property includes the former Wards D, E and G of the Royal Derwent Hospital/Willow Court Centre. The site in question was sold to property developer Tony Ellis in 2013, the year after Ward F was destroyed by fire. Despite there being only three buildings on the property, it has been advertised as having "four heritage buildings on site", suited to residential or multi-unit development. 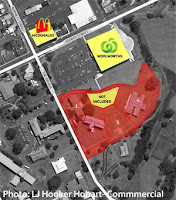 Close to High St and community facilities, the location is adjacent to the new Woolworths Supermarket and is described by the selling agent as a "great opportunity for investor/developer to redevelop or 'land bank'." This follows news last year that several other privately-owned buildings at Willow Court were also up for sale, including the Willow Court Motel. Did this come back into the Derwent Valley Council's ownership because a breach of contract? Hi Anonymous, there's nothing to suggest that the property has reverted to the council.